This should produce truncated cones. The clipped region is rendered as a solid (flat) surface with the color of palette value 0.4. If you require that the truncated region appears as a void rather than as flat surface, the following command sequence may work. This is a little-used pm3d option and I am not certain of the requirements on the structure of the data. 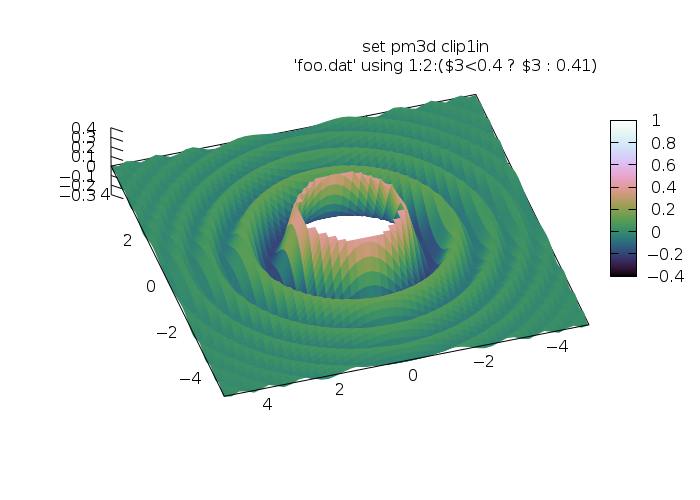 Gnuplot 3d surface plot with overlayed line? 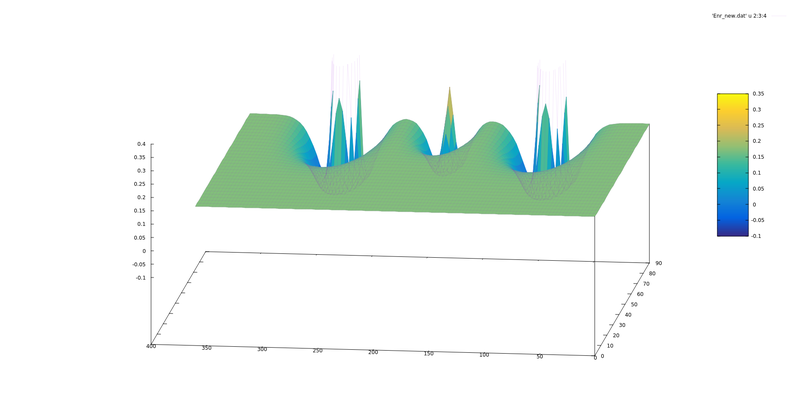 Gnuplot: How to plot points with pm3d?